2. The Hijab is IFFAH (Modesty). The prophet (peace and blessings be upon him) said: "Allah, Most High, is Hayie (Bashful), Sittir (Shielder). He loves Haya' (Bashfulness) and Sitr (Shielding; Covering)." The Prophet (peace and blessings be upon him) also said: "Any woman who takes off her clothes in other than her husband's house (to show off for unlawful purposes), has broken Allah's shield upon her." The hadith demonstrates that depending upon the kind of action committed there will be either reward (if good) or punishment (if bad). The widespread forms of dresses in the world today are mostly for show off and hardly taken as a cover and shield of the woman's body. To the believing women, however the purpose is to safeguard their bodies and cover their private parts as a manifestation of the order of Allah. It is an act of Taqwah (righteousness). 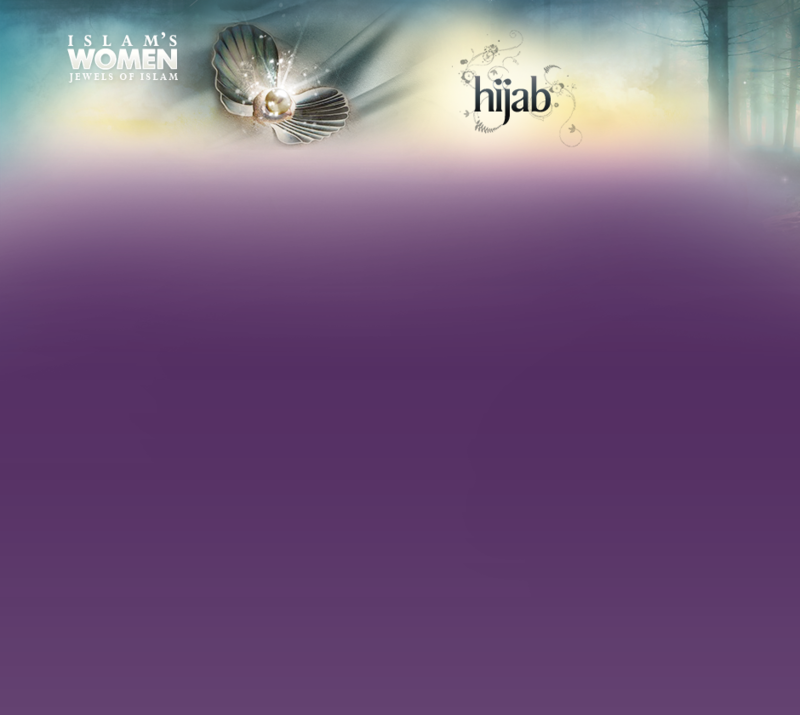 Allah did not address His words about the hijab except to the believing women, Al-Mo'minat. In many cases in the Quran Allah refers to the "the believing women". Aisha, the wife of the prophet (peace and blessings be upon him), addressed some women from the tribe of Banu Tamim who came to visit her and had light clothes on them, they were improperly dressed: "If indeed you are believing women, then truly this is not the dress of the believing women, and if you are not believing women, then enjoy it." There are two authentic hadith which state: "Each religion has a morality and the morality of Islam is hayah'" AND "Bashfulness is from belief, and belief is in Al-Jannah (paradise)". The hijab fits the natural bashfulness which is a part of the nature of women. The hijab fits the natural feeling of Gheerah, which is intrinsic in the straight man who does not like people to look at his wife or daughters. Gheerah is a driving emotion that drives the straight man to safeguard women who are related to him from strangers. The straight MUSLIM man has Gheerah for ALL MUSLIM women In response to lust and desire, men look (with desire) at other women while they do not mind that other men do the same to their wives or daughters. The mixing of sexes and absence of hijab destroys the Gheerah in men. Islam considers Gheerah an integral part of faith. The dignity of the wife or daughter or any other Muslim woman must be highly respected and defended.